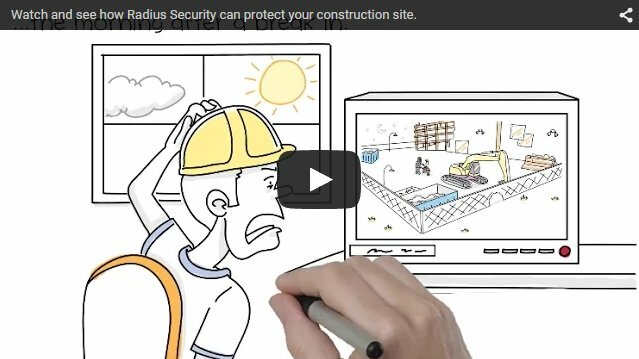 Redhanded™ is Radius Security’s state-of-the-art remote guarding security solution. It combines the latest CCTV and video analytics technology with remote video monitoring to protect your property and eliminate false alarms. Worried about theft or vandalism at your construction site, auto dealership or other outdoor facility? Redhanded™ remote guarding is a video monitoring service that protects outdoor assets. Less expensive and more effective than security guards alone, it creates a faster police response and eliminates false alarms. More cost-effective than a live security patrol, and more intelligent than traditional CCTV or other video surveillance systems, Redhanded™ remote guarding combines the best of all worlds. We have had many arrests as a result of break-ins and illegal site entry....We believe we have saved a significant amount. -- Pierre Champness, CANA Group of Companies. Audible alarms are ineffective and easily disabled. Traditional CCTV systems only give you footage to review long after the crime, and damage, is done. On-site guards are expensive, get tired and can only be in one place at a time. Redhanded™, however, relies on Radius’ proprietary Human Detection Technology™ video analytics software, which works particularly well in outdoor environments. With multiple video feeds, Redhanded™ covers more of your site in real time than one or two security guards can. You can even check on your site directly via Internet anytime. Human Detection Technology™ software sees, analyzes and identifies every potential threat in real time. With a memory bank of more than 50,000 objects, it filters out non-threats like wildlife, weather and outdoor conditions. Specially trained security officers immediately assess all security alerts. They monitor the situation, verify any threats and take prompt action, as needed. Their tools include live audio feeds, silent police dispatches, on-site sirens and strobe lights. 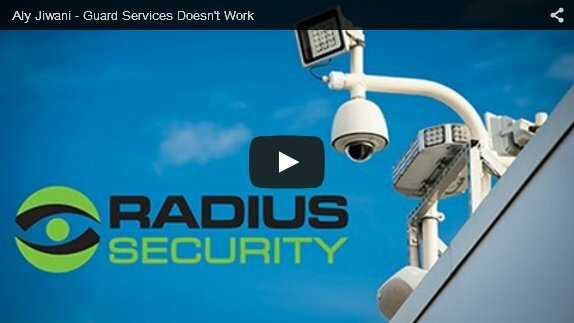 Thanks to the Internet, Radius Security personnel—and you!—can remotely monitor your property via intelligent security cameras that pan, tilt and zoom at anytime, anywhere in the world. Video verification reduces false alarms. About 98% of burglar alarms turn out to be false and they drain scarce police resources. When we verify crimes in progress by video, police assign our calls top priority. 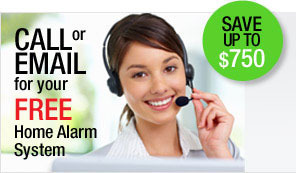 Redhanded™ means faster response times and fewer false alarm fines. Redhanded™ costs far less in time and money than insurance claim recoveries, high deductibles or blanket exclusion policies. At a fraction of the cost of live on-site security patrols. It’s smart. It works. Police like it. And it saves you money. Get Redhanded™. 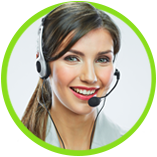 Why Choose Redhanded™ Remote Guarding? Al MacIntyre, branch health safety and security liaison at Prairie Coast Equipment Langley says within six months, Remote Guarding drastically cut losses from theft and vandalism: "[W]e have had 5 suspects arrested...we have not had one "false alarm"... We have not had to have a security guard attend... we have not had one loss of PCE equipment to theft... it is like night and day." Aly Jiwani, General Manager of OpenRoad BMW, compares Radius Security's Remote Guarding to Static Guard Service. "With guards, I have had break-ins in front of the guards happen." 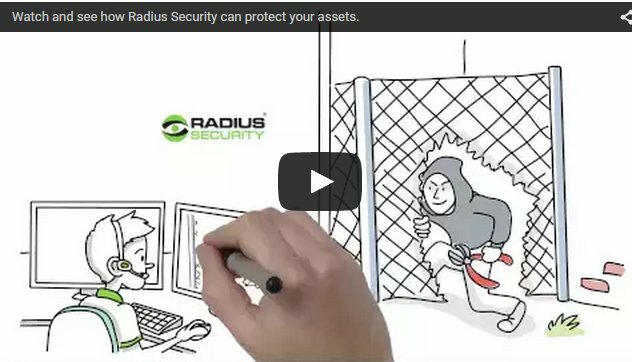 With Radius Security, "I like the fact that someone is on the ball all the time." Learn more about why to choose remote guarding.